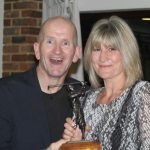 FORMER Olympic ski-jumper Eddie “The Eagle” Edwards was the special guest at the Goring and Streatley Golf Club annual presentation evening. Edwards handed out the trophies to each of the prize winners as well as giving a talk on his life and career to the sell-out audience of more than 100 people. 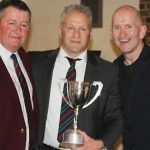 The junior section, which is going from strength to strength under the guidance of Matt Woods and Ben O’Dell from the Pro Shop, was rewarded by winning the Thames Valley League Knockout competition against Sand Martins over two legs. 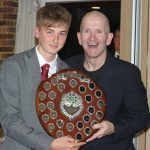 Freddie Horner was awarded the junior golfer of the year award for his commitment to the team throughout the year as well as his respectable performances when representing the club at county level. 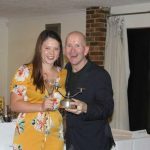 The ladies section also had a good season with 2016, 2017 and 2018 club champion Emily Savage representing the county ladies’ team throughout the year. New members Karen Brown and Jo Grant were both multiple winners on the night while Sally McCleery won the President’s Order of Merit for the ladies recording one win and three second places in only her second full season. The men’s section also had a successful season with the club now fielding two teams in the Reading District Interclub League. Despite not coming out on top in either leagues, there were some impressive individual performances. Alexander Nicholls won his biggest tournament to date, claiming the West of England Open Amateur Championship. Having qualified for the matchplay phase of the competition, Nicholls played some quality golf to race through to the 36-hole final. Despite being five down with 18 holes to play, Nicholls battled back to win two and one to claim the title. 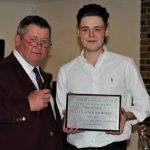 Nicholls was presented with a plaque which is awarded only to those who have achieved elite level golfing success while representing the club. Nicholls has now turned professional and plans to play on the EuroPro Tour next year. 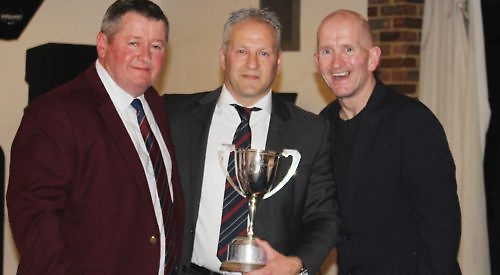 However, the night belonged to Richard Lee who won the club championships for a second year running. With a score of 137 (-3) over 36 holes, Lee’s consistency was too much for the rest of the field to handle with him cruising to victory by five shots.